FLOAT-ACTION REAR SUSPENSION WITH FOX FLOAT 3 EVOL FRONT AND FOX FLOAT 3 QSL REAR SHOCKS: FLOAT-ACTION Rear Suspension features optimized front arm and rail geometry that delivers a premium ride, maximum travel and consistent track tension. 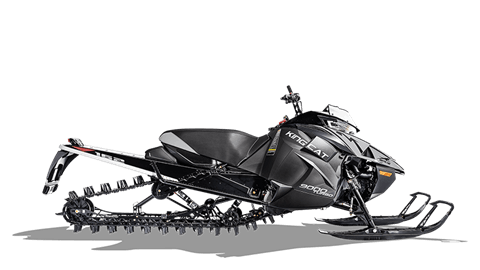 In addition, you get the lightweight, ride-mastered performance of FOX FLOAT® 3 EVOL™ ski and front track shocks, with a FOX FLOAT 3 QSL rear track shock. Estimated Dry - 557 lb.